Did you know that a great way of expanding your PPC account is by performing proper keyword research in order to unleash the untapped opportunities? Keyword research is a tactic for growing an account, especially the new ones but mature accounts can stand to benefit from the ongoing expansions. When does keyword research make sense and when doesn’t it make sense? There are times when keyword research is deemed to be unnecessary and it is also proper to say that there are certain methods of keyword research which seem to be futile. Back in the day, it was common to hear the search engine marketers take pride in the total number of keywords managed but now it is entirely a different ballgame. The count of keywords doesn’t correlate to positive performance or even to the health of the account. There is no such requirement to add keywords only for the sake of adding them. A good goal is to identify some new themes and there can be some room to flesh some existing themes but there’s enough expansion on the current keywords before you reach the point of diminishing returns due to lack of keyword research volume. Apart from adding simple keywords, you can also add additional qualities which may have enough volume to be worth expanding. If you want to advertise for sweatshirts and you run out of keywords, you can add some other qualities like half-zip, pull-over and hoodie. Beyond this, it allows you to check out the estimates of keyword research volume and this is worth your time. You need to monitor the performance of your new keywords to make sure you’re adding value to the account. For this you need to label the new keywords as soon as they’re added. By labelling the new keywords you can allow easy and quick performance reviews. It is moreover a good practice to analyze the positive performance and also the bad performance. 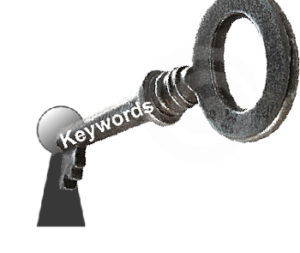 You should be certain that the positive performance of the new keywords is not against the existing keywords. Apart from this, you should also get rid of keywords which have low search volume. Nowadays it is possible to delete keywords when they couldn’t generate impressions and you can easily get rid of these if they are not cluttering the account. So, whenever you wish to make a successful keyword research strategy, you should first know and ins and outs of keyword research.